Irwin Weiner ASID - Is there anything more wonderful than a bedroom that's been beautifully decorated? 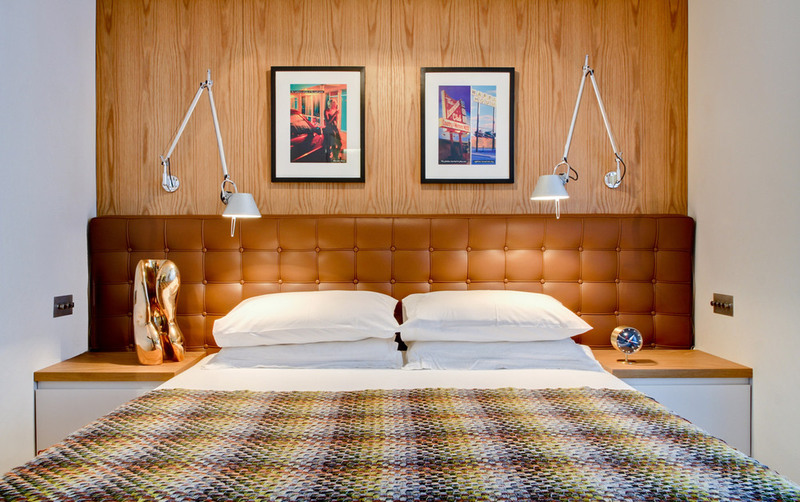 Calm and restful without being boring - that can be a tall order, but our editorial team has chosen four bedrooms they admire for maintaining that delicate balance. Click on each bedroom photo for more information. This vignette from Daniel Hopwood combines color and texture in a minimalist way. The brown tones from wood, leather, and spread harmonize beautifully. Kelly Wearstler's collaboration with The Rug Company produced amazing color with a calm rug to completely ground the look. Monochromatic is never boring when in the hands of a talented designer like the UK's Kelly Hoppen. 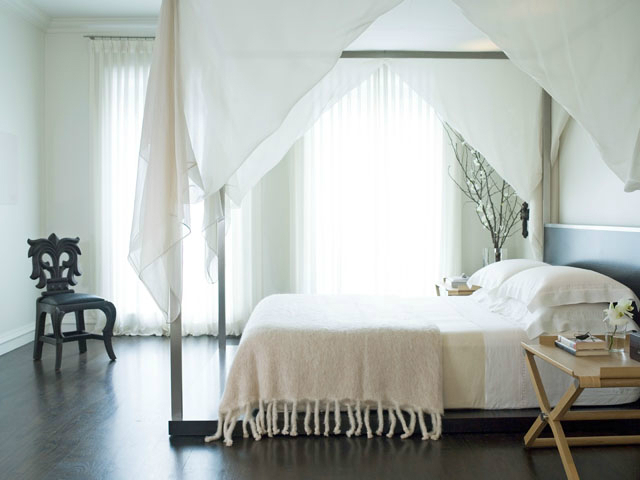 Kara Mann's four-poster white bed floats serenely in this Chicago Lakeshore penthouse space. The serenity of light greens harmonizes with all the other room elements in this Michael S. Smith Central Park master bedroom. Design Video: Would You Like to Live in the Skyhouse?